Danna is using Smore newsletters to spread the word online. 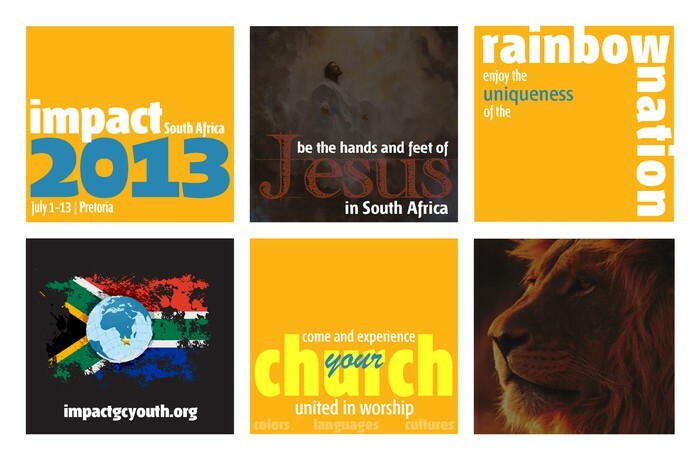 The World Conference on Youth and Community Services will convene in Pretoria, South Africa from July 1 to 13, 2013. Youth from around the world will participate in this noble cause. The project will bring senior youth and young adults, ages 18 to 30+, from every world division of the church. One week will be set aside for the youth and their leaders to be involved in youth-oriented service projects. Assisting with serving and delivering of meals to other centers in the area.